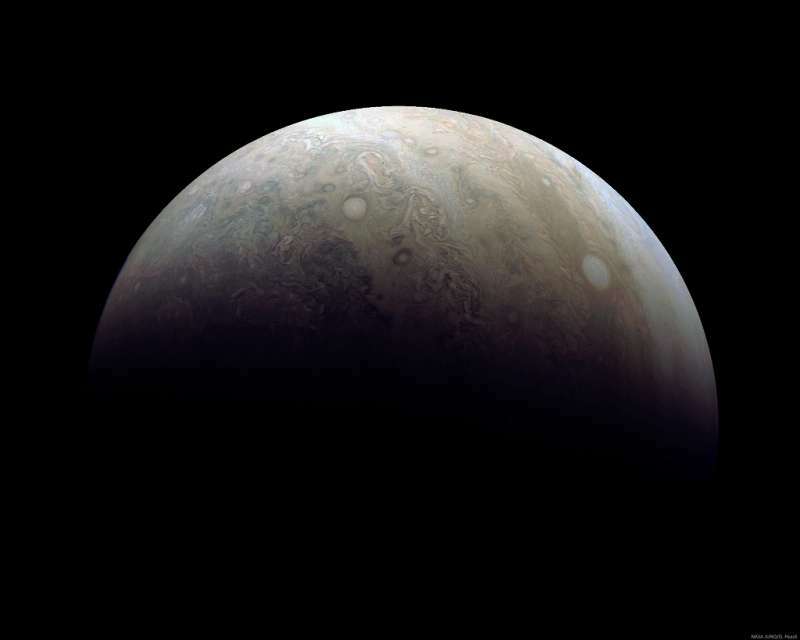 Explanation: Southern Jupiter looms some 37,000 kilometers away in this JunoCam image from December 11. The image data was captured near Juno's third perijove or closest approach to Jupiter, the spacecraft still in its 53 day long looping orbit. With the south polar region on the left, the large whitish oval toward the right is massive, counterclockwise rotating storm system. Smaller than the more famous Great Red Spot, the oval storm is only about half the diameter of planet Earth, one of a string of white ovals currently in the southern hemisphere of the Solar System's, ruling gas giant.